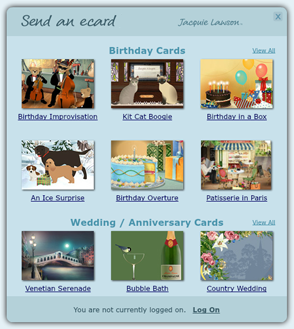 Send cards straight from your desktop! Check minimum system requirements(opens a new window). Select "Open" on the window that appears. Follow instructions to run the installation program. The easiest way ever of keeping in touch! most popular cards, so you're never out of touch. Let Big Ben keep time on your desktop! every quarter, just like the real thing)!